Most of the United States woke up to much colder than average temperatures this morning. Wind chill advisories stretch from the Dakotas to Maine and as far south as North Carolina, and in most of those spots, wind chills were well-below zero. On top of the cold, winter storm warnings stretch from Idaho and Utah all the way into parts of Wisconsin and Michigan, and those are likely to spread even farther in the next day or so. This is all ahead of a monstrous winter storm currently bringing flooding rains, heavy snow and freezing rain to the western third of the United States. 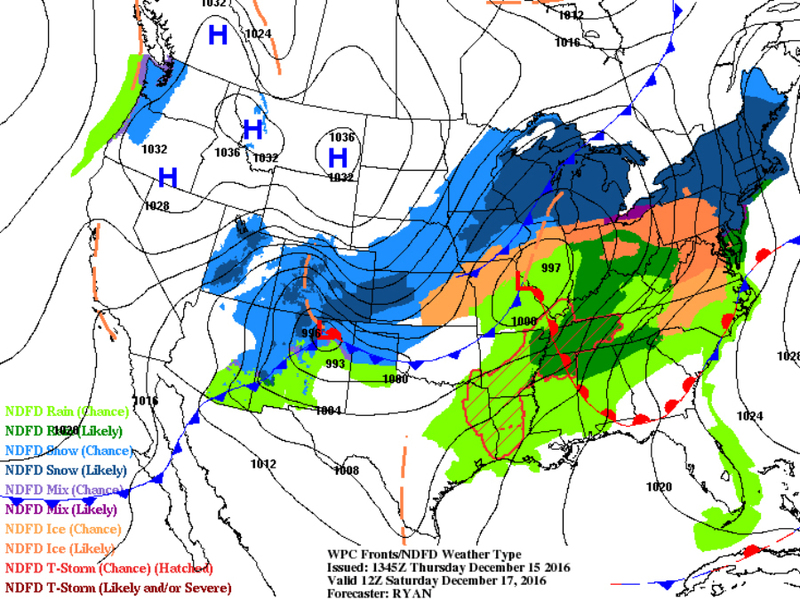 That same storm is going to begin invading parts of the Plains and Midwest as early as Thursday night. By Friday, heavy snow is likely from Colorado to the Upper Midwest and into the Northeast while freezing rain and ice will make for slick conditions across parts of Kansas, Missouri, Illinois, Indiana, Ohio, Pennsylvania, Virginia and North Carolina. 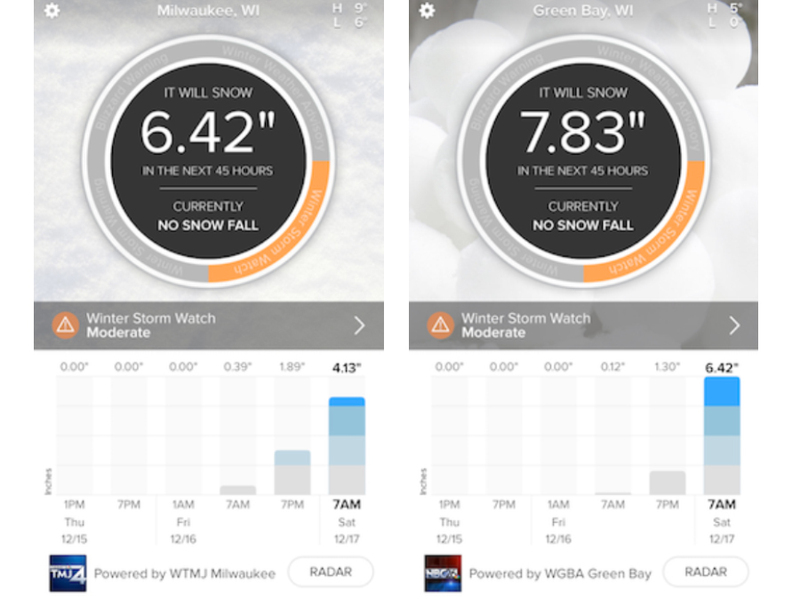 For snowfall totals in your exact location, download the SnowCast App for your iPhone or iPad . 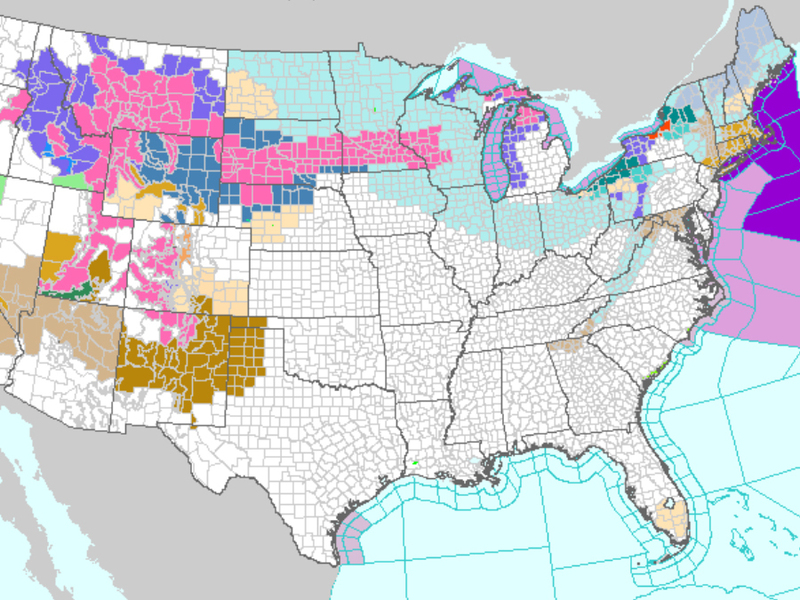 All of this wintry weather will likely make travel slow going at best for the eastern two-thirds of the country. Even in places that aren't seeing the snow or ice, thunderstorms, some of which could be severe, are possible across the Southeast heading into the weekend. 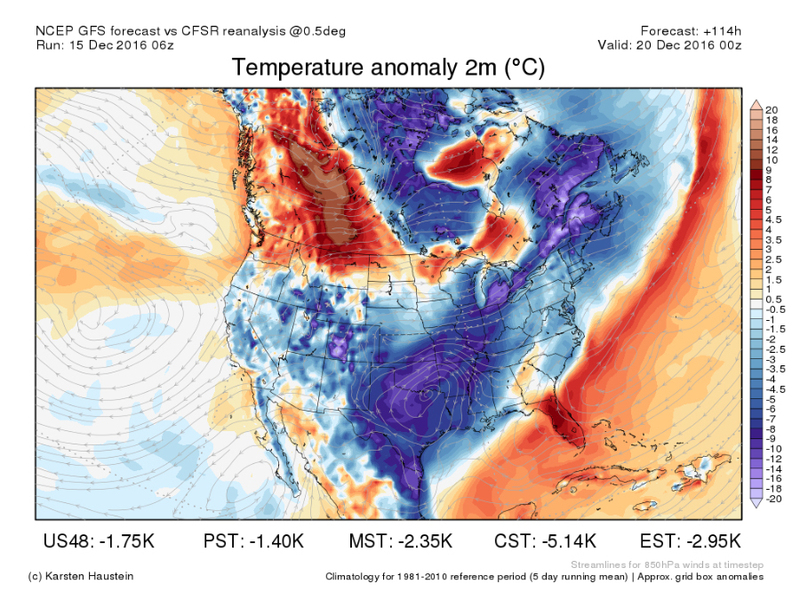 To add insult to injury, this winter storm is only going to spread out and reinforce the cold air the Plains, Midwest and Northeast are feeling this morning. It seems a lot of holiday travelers are going to need extra layers and a little extra time getting to grandma's house this year.